Carrie and Leander Peirce. Carrie was a friend of Nina and Susanna. 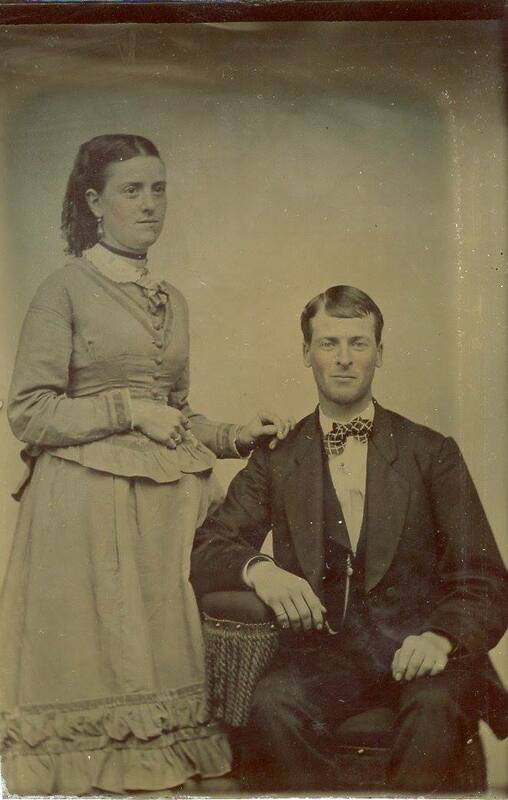 Sarah Caroline “Carrie” Winn and Leander Peirce were my fourth great grandparents! I have never before seen a photograph of her, this is incredible. Thank you. Glad to be of help! Looks like from your last name, we might have a few more of your family’s photos (we have lots of Winn family stuff). We’re investigating ways to put our collections records online, so keep a look out over the coming months.